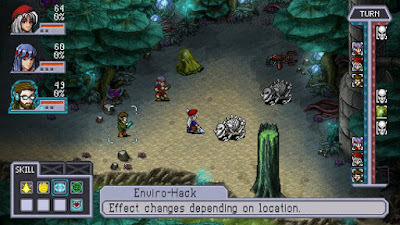 Cosmic Star Heroine was a game I almost kickstarted. I don't remember why I didn't pull the trigger and jump into the Kickstarter but now I regret my decision. On the floor at PAX I was taking a shortcut through the middle of the Sony booth and Cosmic Star Heroine was sitting there... playable on a TV... with only one person at the controller and no line. I instantly remembered the Kickstarter and jumped over to check it out. I love the way this game is turning out. The moment to moment gameplay feels like the best parts of Chrono Trigger mixed with modern gaming sensibilities and a Sci-Fi setting. In the first few moments of playing I knew that I would buy this game on release day. I love a good RPG and I love Chrono Trigger and I love Sci-Fi. A few minutes was all it took to convince me that I'll like this game. 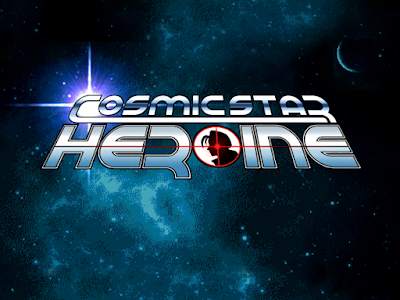 If you're a fan of Chrono Trigger or miss the golden days of classic RPGs you should really check out Cosmic Star Heroine. Now, I suppose, we just need to wait for an official release date.